•the connections between the CUT, the JBS, & the TS with Freemasonry. 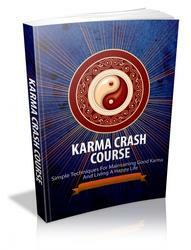 This book has to do with recording what people involved with the Power have planned, and why they can carry out their plans. Further it will give you things you can do to counter the Power. While you may perhaps shudder at the thought of World War III, you should be aware that many people have been deceived to look forward to an Armageddon. Not only are these people planning and looking forward to it, but they have been blaming its assumed arrival on Christians for several years.<#1. Various New Age leaders preach the power of collective consciousness (which belief is a type of belief in magic). Some of these New Agers speak and write that Christianity's belief in Armageddon is the reason it will occur, that Christians are Willing it to happen.> If people think that by putting their heads in the sand they can escape the future, or even the present difficulties, they may be in for a rude surprise. c. They use Hegelian Dialectics. This dialectic process doesn't happen on its own so it often has to be forced into happening. The idea is that each idea ("ism") called a "thesis", like say Capitalism, naturally by definition has an opposite, an "antithesis". In Capitalism the antithesis is Communism. The conflict between the two produces a synthesis. By controlling both ends of the conflict, one controls the end product, the synthesis. More than not, the One-World-Power can be seen working behind both sides of many conflicts. Indeed, the Secret Societies have been historically shown to be behind all the revolutions and wars in Modern Europe since the American Revolution. In religious conflict, both sides are often being manipulated. Some of the various groups openly admit their strategy is designed to create a synthesis. You will find Hegelian Dialectics has been introduced into the U.S. educational system by the Skull & Bones Order (considered an llluminati group). It was adopted in Russia by the Slavophiles in the 19th century. Communism, Nazism, Fabians, most New Age groups, Liberation Theology, and other parts of the Power use Hegelian Dialectics. Hegel in turn based his system on the ancient Greek atomists especially Democritus. d. The New World Order's One-World-Religion is organized on the SPIN principle. WHAT IS THE SPIN PRINCIPLE? This concept is to be the topic of this section. If one were to diagram a SPIN organizational chart it would not be a conventional box type configuration such as an army company organization chart. Rather, it would resemble a fish-net with interlocking nodes with groups linked to many other groups and cluster around nodes. There is no center to the network. It is like the brain's electrical connections, with an overlap of functions, so that good cells can take over from damaged sections. A network (one of their buzzwords) is many times more greater than the sum of its parts. The New Age author Marilyn Ferguson does an excellent job in describing how the Conspiracy's SPIN network functions. "This is a source of power never before tapped in history: multiple self-sufficient social movements linked for a whole array of goals whose accomplishment would transform every aspect of contemporary life. "Because SPINs are so qualitatively different in organization and impact from bureaucracies...most people don't see them—or think they are conspiracies. Often networks take similar action without conferring with each other simply because they share so many assumptions. It might also be said that the shared assumptions are the collusion. Organisationally, the SPIN principle has worked wonders for the llluminati, who are the Illumined Ones who are directed by an angel of light variously called Venus, Lucifer, Satan, or Sanat (a scrambling of Satan). Different groups have their own preferred name for this Master. Almost without fail their literature and art provide enough in each case to positively identify this Being of Light Lucifer as the Ascended Master of every Illuminated group. Sources that have been near the top of the hierarchies of these various groups reveal that the "alliances" are not as loose as the public pictures them. The top leaders are actually in contact and collusion together. Further, the New Age movement is producing all kinds of organizational charts, Yellow Pages, coordinating councils between groups such as the Unity in Diversity Council, etc. The movement is not as leaderless as the New Age Movement likes to pretend. Further, while their SPIN network is powerful, it is much more manmade and artificial than people can imagine. Groups that supposedly just materialize out of nothing, are actually funded and promoted from the start by an outside source. It is not impossible to draw diagrams showing the seed, producing its rotten fruit, producing seed, producing fruit, producing a host of seed, etc. The Spin diagrams in this book are an attempt to begin showing the development of their SPIN of SPINs. Another line of influence by the llluminati can be seen in the illumination of the leaders of the Continental Masons in the 18th century. Illuminated puppets like the Portugese Jew Martinez de Pasqualis went from Germany to France and initiated various people and started various Secret illuminated groups. As a result Grand Orient Masonry was illuminated, and so was Co-Masonry on the continent. The illuminatus Giuseppe (Joseph) Mazzini (1805-1872), who belonged to several Secret Societies, the Scottish Rite, the Grand Orient, Carbonari, Young Italy, Young Ireland, the 1st Communist International, initiated Helena Petrovna Blavatsky into Carbonarism (a type of Masonry) in 1856. Helena Petrovna Blavatsky (she went by the initials H.P.B.) had already met the magician mentor of Mazzini in 1848 in Asia Minor. After her initiation by Mazzini, H.P.B. claimed she was illumined by the Hierarchy of the Great White Lodge in 1856. George Felt of the Hermetic Brotherhood of Luxor also was a big influence on H.P.B. 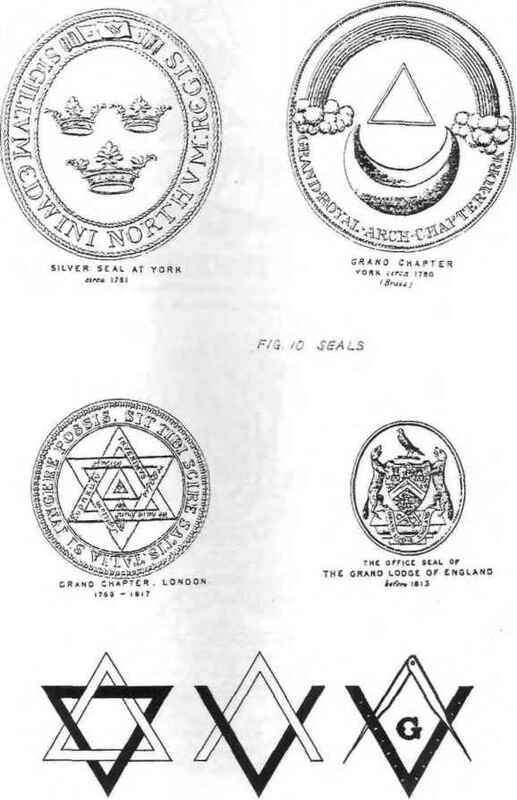 H.P.Blavatsky was also initiated into the Order of Druses, the Adoptive branch of the Ancient and Primitive rite of Masonry (1877), and the Rites of Memphis and Mizraim. In the Grand Orient Adoptive Masonry she held the highest rank, a Crowned Princess 12. With the help of the Rosicrucian Masters, H.P.B started the Theosophical Society. The socialist and occultist Herbert Burrows, a member of the Stella Matutina (a Masonic occult spinoff from the Golden Dawn), introduced the Co-Mason Annie Besant to H.P.B. in 1889. In 1887, H.P.B. started a Theosophical magazine called Lucifer the light-bringer. Annie Besant took over the illuminated Theosophical Society. Annie Besant bungled her job in creating a Christ in the early 1920s, so her job was given to Alice Ann Bailey. Alice Ann Bailey decided (or rubber-stamped) revised secret plans to keep the work low key until 1975. 1975 would be the big year. Meanwhile, she wrote numerous influential books, and in 1922 established Lucifer Publishing, and Lucifer Trust, later changed to Lucis. Early in the 1930s, a couple named Edna and Guy Ballard received illumination, and started the I AM movement. The St. Germain Press publishes items such as the monthy periodical The Voice of the I AM. Guy borrows much of his ideas from Alice Bailey, the Rosicrucians, and the Masons. Two of his books Unveiled Mysteries and The Magic Presence sound masonic. His messages he received from the Great White Brotherhood seem like a regurgitation of what others had also received. Mark and Elizabeth Clare Prophet began as a spin-off of the I AM movement in the late 1950s. In 1958, they started Summit University to train initiates of their Church Universal and Triumphant (CUT). The I AM movement feels that CUT stole their picture of St. Germain, and have started using a different picture in order to assert their separateness. Even though they don't cooperate officially, the I AM movement and the Church Universal and Triumphant are nearly identical in beliefs. What has been covered is how the lineage of Illumination has been passed down from generation to generation in a series of spin-offs. Although there is no publicly known connection between the Church Universal and Triumphant and the Masons, it will be worthwhile to examine this movement. Although the lineal descent is a direct one between CUT and the Masons, few people would on their own see any connection between the two. It was the spring of 1990 and the Montanans in Paradise Valley were showing concern toward their new neighbors who had bought 33,000 acres near Yellowstone National Park.<#8. Wilhelm, Maria, "An angry publisher fights to save the valley called Paradise." People Weekly Dec. 24, '90, p.38. See also Reid, T.R., "Montanans feel 'invaded' by survivalist church; tensions rise over "Guru Ma', followers." The Washington Post (April 22, 1990), p. A3 col. 1.> The National Park people were getting upset too at these new neighbors, who called themselves Church Universal & Triumphant. Problems, like the sect's fuel tanks leaking, had the park people unhappy.<#9. The National Parks, a Periodical put out by the U.S. National Parks, discusses in short articles in the Jan-Feb., the Jul-Aug, and the Sept-Oct. issues problems the Yellowstone National Park was having with the CUT.> An ex-member Kenneth Polini, who had served as the sect's security chief, was telling the newspapers that the sect could end up to be another Jonestown.<#10. Texe Marrs gives as his source for this in his New Age Cults & Religions, p. 171 an article in the Spokane Chronicle however an examination of the last few years of the Spokane Chronicle didn't reveal any such article. He did get the information from some source apparently. This is one quote that I am not able to verify.> The Prophet's oldest daughter Moira Lewis had to be thrown out of the CUT, when it became apparent that she didn't believe in it. Now Moira Lewis was talking, and talking to the anti-cult ministries. with the legions of light who are implementing sound and the sound waves to counteract discord, all destructivity, disease, and death ere it return to mankind who have sent it forth with the suddenness of a woman's travail. My beloved brothers and sisters of the Light, I address you as co-equals and co-inheritors of the mantle of God's will. I pray that without fear, with longsuffering and perseverance, you shall endure and fulfill your mission of this year and the decade to come. All of heaven is poised for the victory. We look to commune with you, each one, directly through the ultra-dimensional sound of Excelsior. May you who believe in angels and in the brothers in white be not forgetful to entertain strangers. For this is the hour of the coming of the Lord's Spirit in the manifold expressions of our legions who are descending to earth on the glorious mission of the sons of God to raise up souls who are counted as the servants of the Lamb. I AM El Morya. Through the ages I have worn various guises and disguises. You will know me (as I stand beside you in answer to your call) by my vibration, by a certain knowing, a certain God-determination, a certain will to move and to be movers of men and mountains. You will know me by my impetus which I give to you to act, act, act in the name of God to set the captives free. Let us be up and doing. I am with the I AM THAT I AM who reveals himself in the outflowing and the inflowing of events. Children of the sun, be prime movers of fight and love and goodwill in time and space and you will be with me held in the bonds of the eternal Brotherhood. For a Christmas wreath of light and sound the world around, play this record on Christmas Day and be one with brothers and sisters on the love ray. in answer to your call) by my vibration, by a certain knowing, a certain God-determination, a certain will to move and to be movers...I am with the I AM THAT I AM...In the Spirit of Christmas, I AM"<#11.1969 CUT Booklet with Cover of Christ saying "Arise Shine for Thy Light Is Come!" The Booklet has a Christmas Message and is accompanied with a record. Malibu, CA: CUT, 1969, p.7.> El Morya is identified in CUT literature as Chohan of the First Ray, Master of the Lodges of Perfection.<#12. CUT Broshure with a mountain scene with El Morya's words "The trek upwards is worth the inconvenience" on back and "the Messenger" E. C. Prophet on the front. p.2.> Those familiar with Masonry know what the Lodges of Perfection are. Elizabeth Clare Prophet is now running CUT. She claims that El Morya, Chief of the Darjeeling Council of the Great White Brotherhood is using her to channel messages so that the earth can be raised once again into a Golden Age. 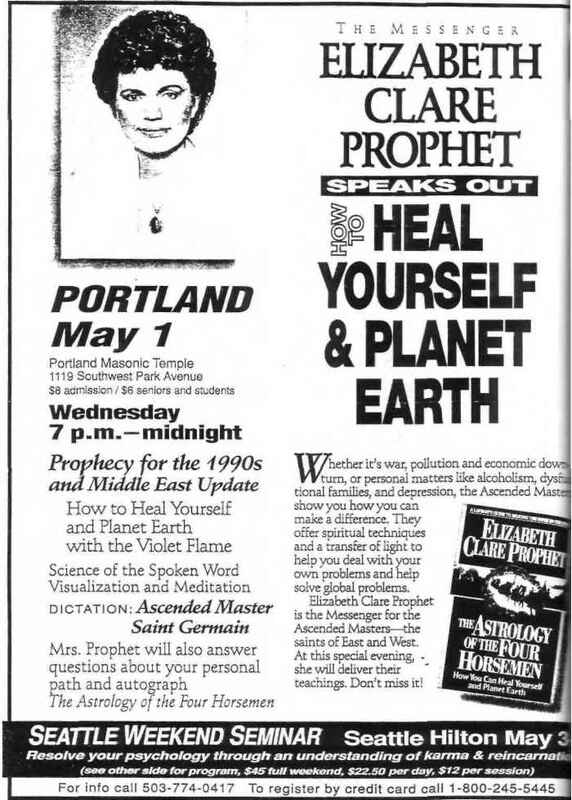 Elizabeth Clare Prophet not only has the name Prophet, but she claims to be one. Not only does she look divine (at least in the photos released to the public), but she claims to be divine. Not only does she have weekly handouts called "Pearls of Wisdom", but her 3rd ex-husband Randall King reports she is getting wealthy from her followers. And that's not all. IS CUT PART OF AN ILLUMINED NETWORK?